Owning a home treadmill is a good thing since it becomes much easier to workout whenever you have a few minutes off your schedule. Being able to exercise often will lead to a wide range of health benefits such as improved metabolism, weight loss, and improved cardiovascular fitness. However, the biggest disadvantage of purchasing a home treadmill is that it can take up a lot of space in your home leaving you confused. Some treadmills aren’t also easy to move around which makes things even more complicated. Fortunately, there is a solution to this problem, and that is getting a folding manual or motorised treadmill. This means that you can easily fold it whenever you aren’t using it and keep it away. 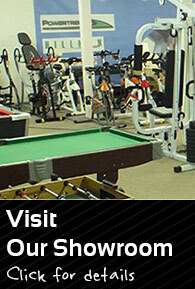 When it is time to workout, you can easily unfold it in a strategic place where you want to conduct your exercise. 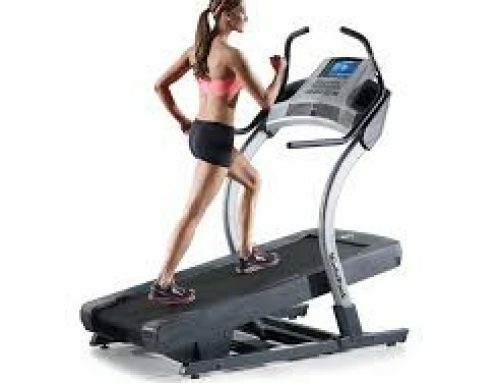 One thing that you need keep in mind when acquiring a folding home treadmill is that not all of them fold away in the same manner. What I mean is that the more expensive treadmills tend to be longer and feature a wider running area and bigger LCDs. This means that they may still need more space for storage even when they are fully folded. Some manufacturers are also better than others when it comes to how they design and implement the folding mechanism in home treadmills. Here are some of the best foldaway treadmills in the United Kingdom. The JTX Slim Line treadmill is designed for small spaces, and it can easily fold flat so that you keep it inside a cupboard or under your bed. It also features flexible wheels that make moving forward or sideways much easier. Another great feature of the JTX Slim Line treadmill is that it has a large LCD console fitted with the JTX DiscTech System that helps you to select your desired program or speed with a single swipe of your finger. The running deck is spacious, and it can accommodate an average person. However, this treadmill might not be the ideal choice for you if you are taller or heavier than the recommended height and weight. The treadmill isn’t also quite stable when standing on its side, so it isn’t recommended to store it that way. The JTX Slim Line treadmill will arrive at your doorstep when it is 100% assembled, so don’t have to worry about the assembling process. Its maximum speed is 14km/h and also features 15 levels of power incline. The 12-month warranty is also worth mentioning, and the package will also include free hand weights to complement your exercise regime. This treadmill is slim, handy, and full of exciting features. Its price is pretty good which makes it a good choice for almost everyone out there. This is perhaps the best manual folding treadmill out there. Weighing a paltry 21.25 kg, the Confidence treadmill will make you happy if you are looking for a space saver that will serve you well. For such an affordable treadmill, you most likely love its magnetic resistance that offers you up to eight different levels that you can easily adjust according to your fitness levels and goals. If you are a beginner or recovering from injury, you will love the fixed incline that isn’t so steep. The other thing that you need to keep in mind before you order this treadmill is that the maximum user weight allowed is 100kg. You may opt for something else if you weigh more than that. 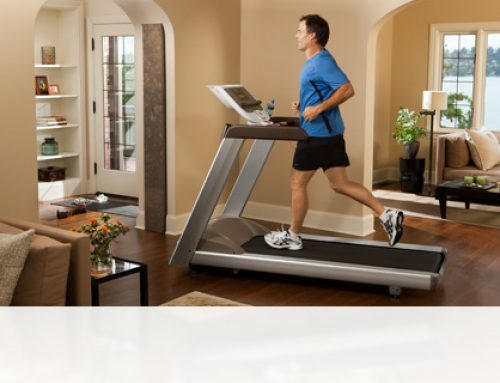 The customer reviews also reveal that users love the multi-function computer that the treadmill uses to measure the distance covered, speed, number of calories burned, and the time with a reasonable degree of accuracy. If you are on physical therapy, you will love the sturdy handlebars where you can comfortably lean to get some rest. The confidence treadmill is also silent and smooth which is surprising given its low price. This treadmill is highly portable and easy to store away whenever you aren’t using it. The XM-Pro III treadmill is a unique combination of lightweight and exciting features. It is a foldable home treadmill that won’t take any effort to move around. The manufacturer also designed it with small wheels to aid in its movement just in case you feel like its heavy for you. Folding it up is quite straightforward, and it is also compact. This treadmill is a good pick for both beginners and advanced runners looking for more intense workout sessions. Its LCD is brightly lit to help you keep track of your speed, the number of calories burned, distance covered, and all the other important stats that you need to know. It also features some nice cup holders and inbuilt speakers so that you can enjoy your favourite tunes while working out. The XM-Pro III treadmill is quite easy to assemble and comes with a lifetime warranty which provides excellent value for your money. For under £200, this treadmill is a definite bargain that you will love. It folds away effortlessly and offers a sturdy running experience that you will enjoy. However, its 12km limit to the motor may not be good enough for you if you want something that is more advanced. Weighing approximately 28kg, the Fit4Home X-Lite II treadmill folds without difficulty, and it is also easy to move it around thanks to its lower wheels. This treadmill is even designed with a safety lock feature which offers you a chance to store the treadmill upright. Its large LCD is easy to read, and the settings are strategically located so that you can access and adjust them quickly. Another exciting feature of this treadmill is that it is fitted with inbuilt speakers that produce high-quality sound. You can connect your MP3 player or iPhone to the machine and enjoy the high-quality music sound produced by the Hi-Fi speakers. One thing that you will rarely find on other treadmills that X-Lite offers is a free comprehensive e-book for running and weight loss. This book contains all the essential information that you need to know to get the best out of your exercise regime. The maximum speed is 12km/h which is good for beginner and intermediate runners. The three incline levels are sufficient, and the 12 pre-programmed training options range from first-time users to extremely fit users. 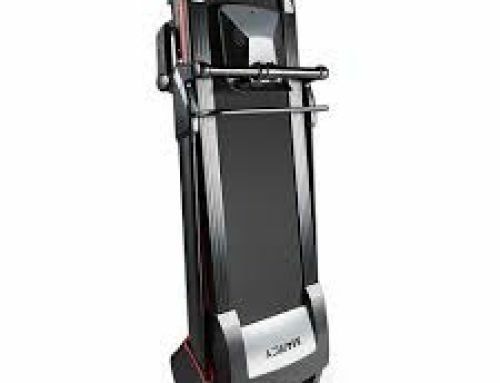 The JLL S300 digital folding treadmill is the perfect foldable treadmill for recovery. This treadmill is ideal for you if you are recovering from injury and you need something affordable that will offer you the best results. The treadmill also provides a wide range of exciting extras for cheap. The most exciting feature of this machine is its low starting speed that stands at 0.3km/h. This unique feature makes it a perfect choice for your entire family and for special workout routines that are usually part of recovery treatment. If you are a beginner, you start slowly and progress gradually until you reach the levels of its top speed which is 16km/h! The massive 5-inch LCD screen display all the running statistics that you need to see along with 15 running programs. The other exciting feature of this treadmill is the inbuilt speakers and the plug-in slots for MP3 player and iPhone. Who wouldn’t love such a fantastic treadmill for cheap? Are you sick of the British weather scuppering your running plans now and then? Here is an electric folding treadmill that you may want to check out. The Ancheer S8400 is a perfect treadmill for anyone who is short on space. Moving this amazing machine isn’t difficult at all thanks to its light weight and small size. If you are looking for a treadmill that you can move between rooms easily, then this is the best fit for you. Its general construction is robust, and it is excellent for both light running and walking. It can even be used by the elderly without any problems. The soft down feature ensures that the treadmill lowers itself down saving you from unnecessary bending that may lead to backache. If you hate assembling stuff, you will be glad to learn that the Ancheer S8400 folding treadmill comes when it is 100% assembled. This is a good and affordable treadmill that does its job quite well. Choosing an ideal folding treadmill can be quite challenging, especially if it is your first time. However, the most important thing that you need to consider is the size and quality of the machine. Whatever you get will also depend on your budget. The above treadmills are some of the best folding treadmills on the market that you can consider. Let us know in the comments section if there is any folding treadmill that you really like and it isn’t on our list.